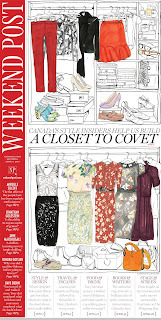 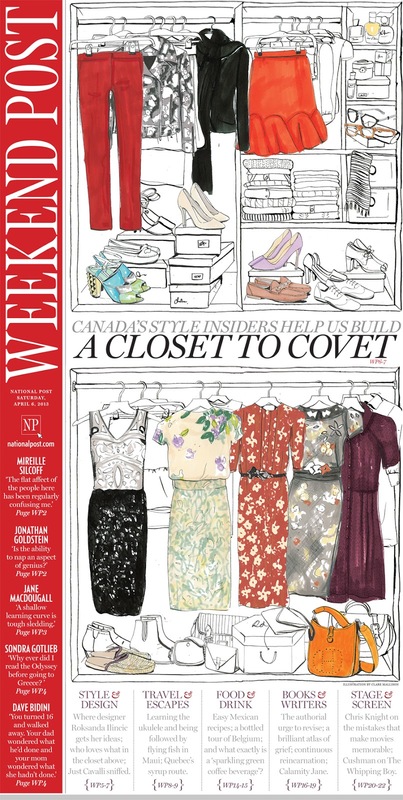 Canada's National Post asked me to draw this fashion illustration for their weekend newspaper, front cover and inside spread. 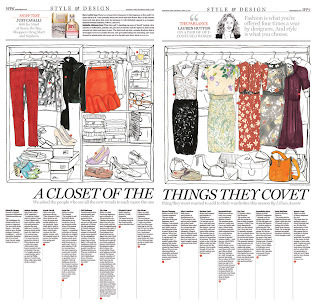 They asked fashion professionals across the country, what they would like in their closets this spring. 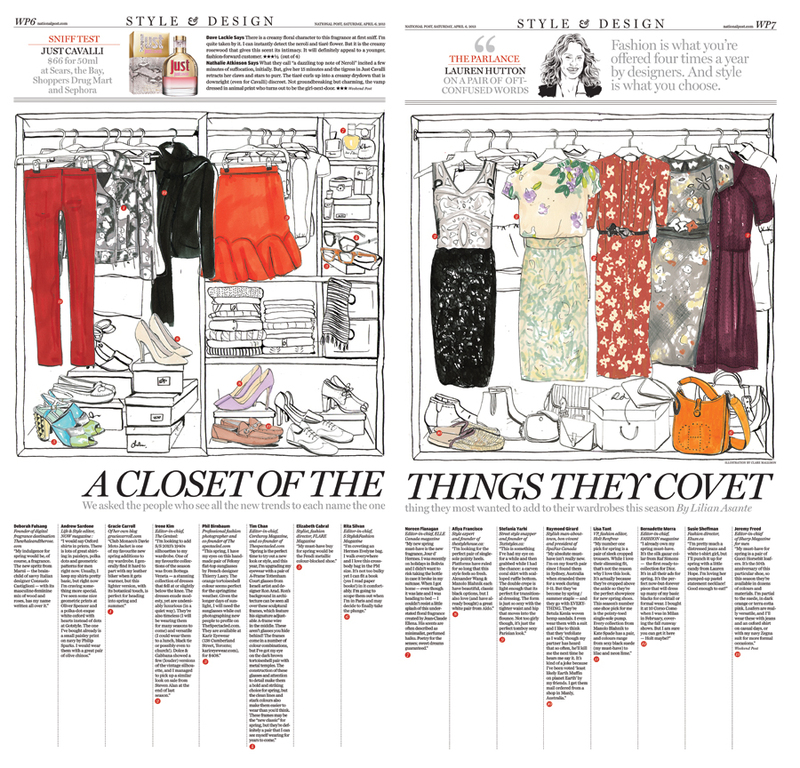 I illustrated each item mentioned and put it in my own wardrobe.